Cadillac: all-American all the time. Its first natural aspiration originates in Michigan but known across the globe. Every inch contains executive-style luxury with which GM set benchmarks. Your car is the epitome of executive that beholds a lifetime of hard work and dedication. You deserve it. A low-mileage used Cadillac engine is probably ready to ship FREE to US and Canada. Next option would be a rebuilt Cadillac engine with warranty and a guarantee. Call and check all prices and get details FREE. Have your VIN and the shop address when calling. When it comes time to replace its powertrain parts, you deserve only trustworthy quality. We make it quality and affordable. Our family-owned business is designed to provide cheap quality used engines and transmissions backed by superior service. Expect courteous representatives knowledgeable in the field of automotive, especially American-made cars. Money-back guarantee on select units. We specialize in acquisition of model years 2000 or younger. After 30 years, we have thousands of used engines and transmissions ready to ship. Call for your FREE quote and don’t forget your VIN. The Cadillac ATS, alone, has four different engines sold and these were mated to two differing transmission options. We’ve set aside fifty different Cadillac engines in our warehouse and that number is ballooned with the varying displacements including but not limited to those like the Ecotec Inline 4 gasoline engines, a GM V8 L31 truck engine not unlike the LT1 V8, but this one omitted the reverse-flow cooling. It’s highly adaptable to other small blocks and often used in a shop swap upgrade. 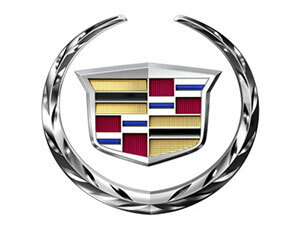 Among all these are high quality rebuilt Cadillac engines as well as fully remanufactured Cadillac engines designed to last another generation or two with proper maintenance. We can check multiple prices for FREE and ensure you get the best fit for your budget. The Ecotec I4 is a popular request from our clients, but we need your VIN to establish the engine in your car which varies widely even among the same models. For example, if you’re driving a first generation luxury Cadillac ATS, it houses a beautifully quiet 5.7 Vortec 5700 V8 (255hp which didn’t have as much oomph as the Navigator at the time) with special 4x4 equipment. Yet, by 2015, the fourth generation of Escalades were sold with an EcoTec3 L86 gasoline engine, a V8 6.2 liter capacity small block truck engine with a bit more power. Now, these can be found in GM trucks as well, so the prices can be very low and availability very good. Our automotive technician can help you hammer out the engine specifications. We’ve procured used GM 4 and 6 - speed automatic transmissions as well as the manual version offered for sale with these models. If your car needs replacements, we’ve got you covered. If we don’t have these parts, it’s likely no one does. Of particular concern is the Cadillac CTS model. It’s engine was not widely shared across platforms and into other models so it might become scarce. Don’t let any other business charge exorbitant prices on any of used engines by way of scarcity. The cost of your next engine replacement need not be expensive. We understand this industry more than anyone else. Let us become your advocate of sorts to help avoid being trapped with high prices. Call often and frequent for the best prices.